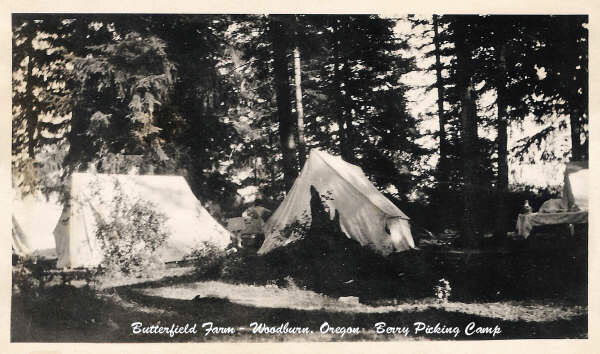 The two pictures attached represent life at the Butterfield Farm near Woodburn during berry picking time. 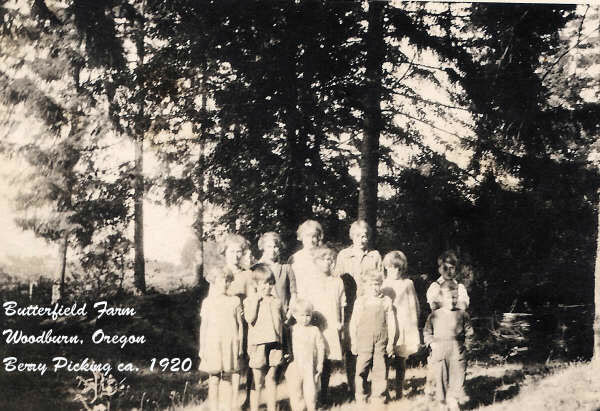 The first one is a group of Volga German kids from the old neighborhood, including some of my Schneider family aunts and uncles. The second is a picture of the camp. My mother (Mollie Schneider Willman) loved going on the family hop picking and berry picking "retreats," hard work and all! Story and photographs contributed by Vickie Willman Burns.